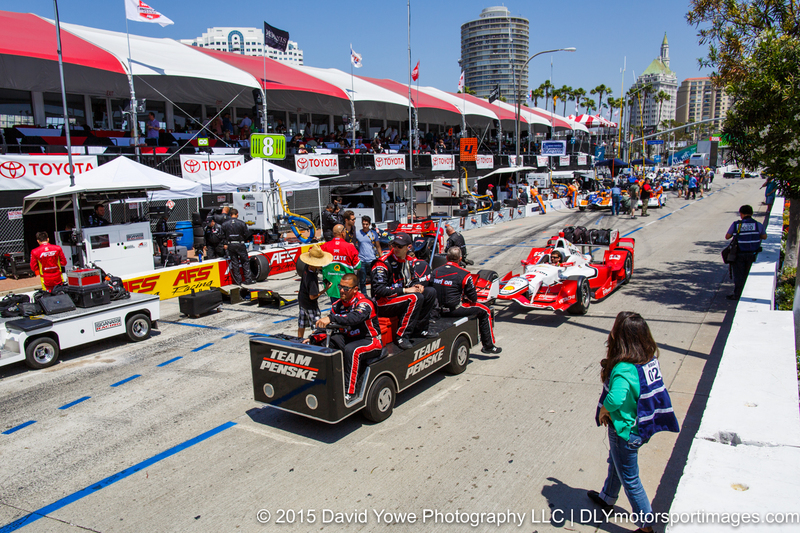 The pre-race festivities before each Indy Car race are an exciting time for race fans to walk the front straight and pit lane, get close to the cars being prepared for the race, and to see the drivers at the race day introductions. 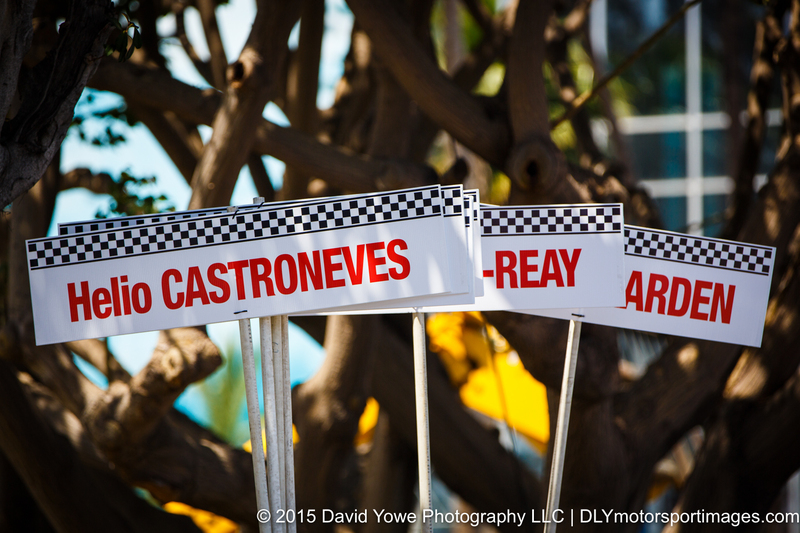 The pre-race at Long Beach was no exception. Hope you like the photos. Got an early start Sunday for the Indy Car race day. 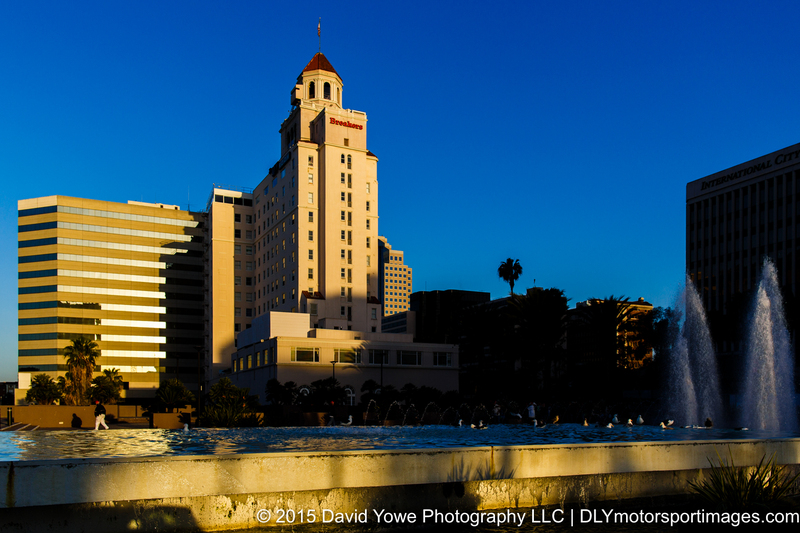 The Breakers Hotel was beautifully lit by the early morning light on my way to the media center. 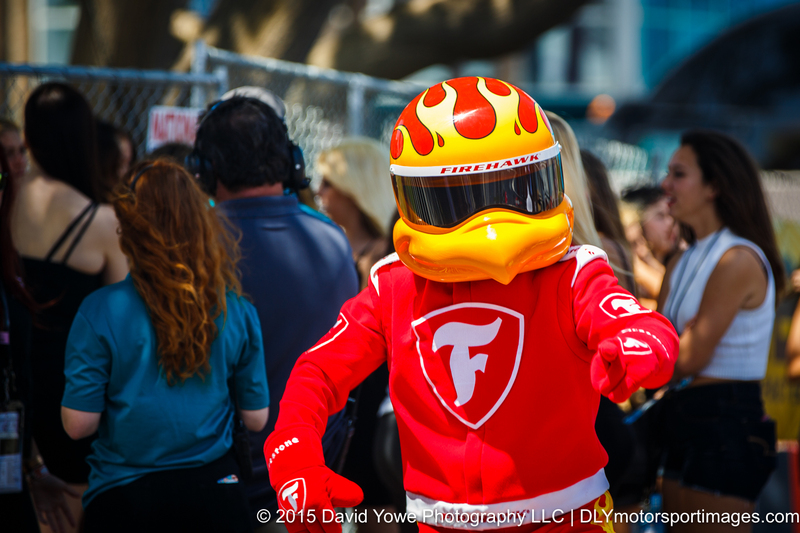 The Firestone Firehawk was on hand to greet the fans. 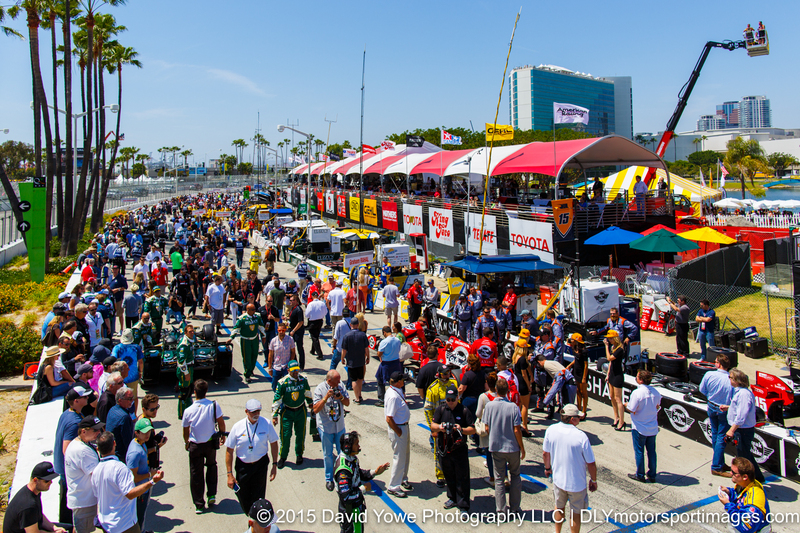 A large crowd was on hand at pit lane during the pre-race. 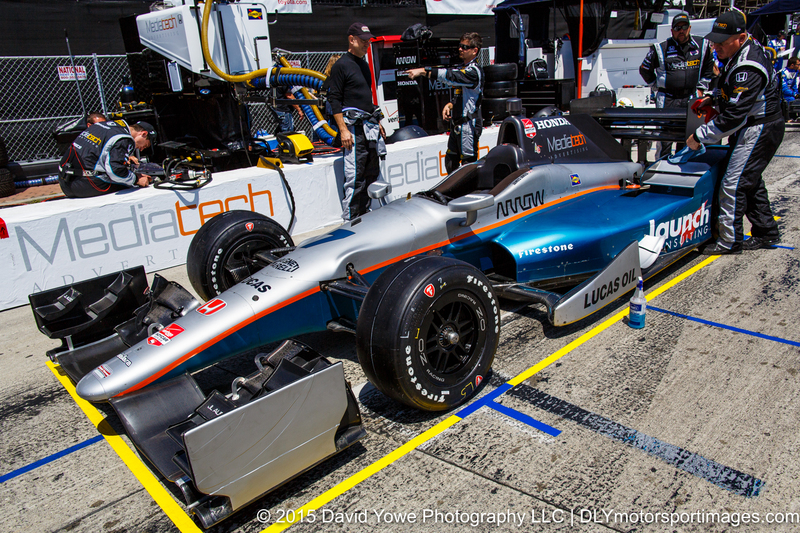 Team Chip Ganassi Racing Chevrolet tow Scott Dixon’s #9 car onto pit lane. 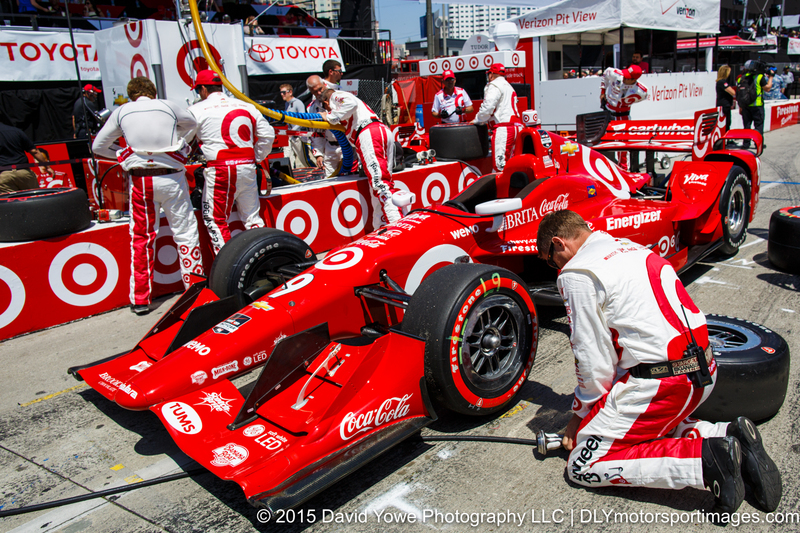 Preparing Scott Dixon’s #9 Chip Ganassi Racing Chevrolet for the race. The lovely Maxim promotional girls. 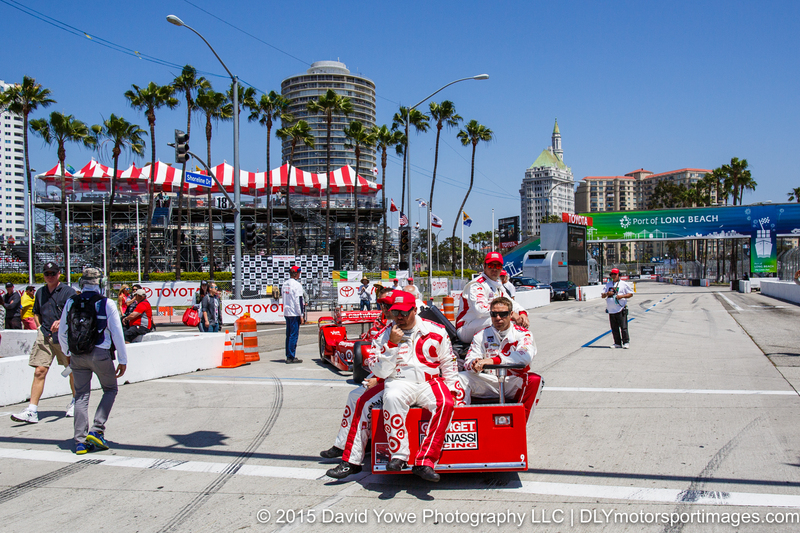 Juan Pablo Montoya’s #2 Team Penske Chevrolet being towed down pit lane. James Jakes’s #7 Schmidt Peterson Motorsports Honda. 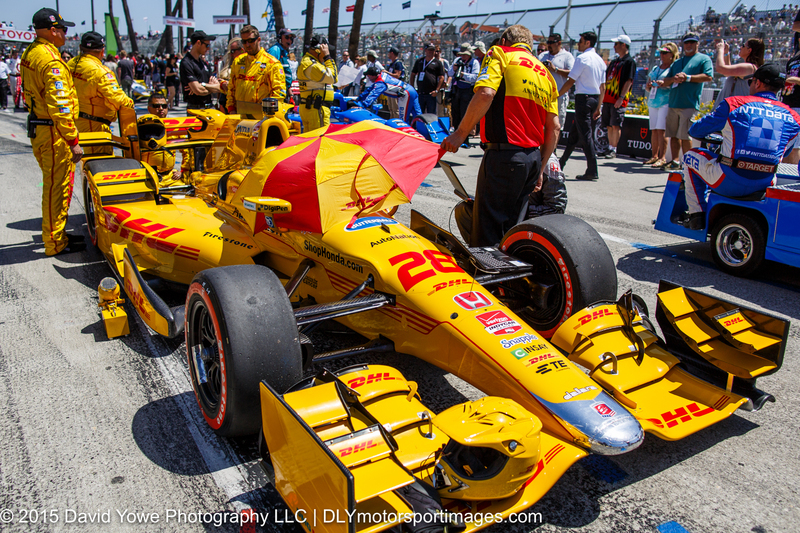 Ryan Hunter-Reay’s #28 Andretti Autosport Honda.